I had a hand on cellular phones since its introduction in our country in 1989. I was a freelance salesman of analog cellphones at that time when the popular brands were Motorola, Oki, Panasonic and later the Nokia. In those days, the handheld analog units weighed probably five (5) times heavier than the typical digital cellphones that we have today. Also, if I may say, subscription to cellular phone service was a status symbol with the unit costing as much as PH₱75,000 and postpaid local calls at PH₱4.50 per minute. There was no Prepaid Service in those days and Short Messaging Service (SMS), more popularly known as Text Messaging, came in much later when the telco systems were converted from analog to digital. In the early days of the digital cellular systems, I was using mostly second-hand Nokia units loaded with prepaid loads. I wished for a new smartphone and got it as Christmas gift from our second son in December 2010. 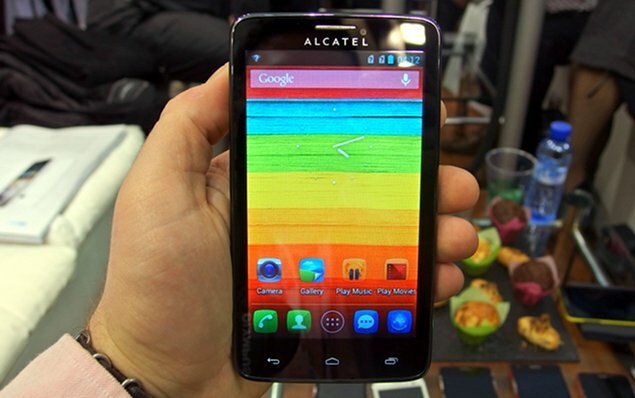 It was a Samsung Galaxy 5 with Android 2.1 Eclair for its operating system. Having a little technical knowledge, I immediately updated the unit to Froyo (Android Version 2.2) and that was the start of my fancy for tweaking Android smartphone units that I had my hands on. 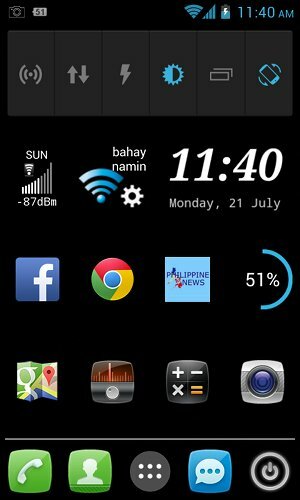 By tweaking a smartphone, I mean upgrading its operating system if there is an easy to follow procedure online, rooting the unit to be able to run applications that cannot be installed on a non-rooted one and adding appropriate applications (apps) and widgets that suits the need of its user aside from having lower battery consumption. Smartphone owners have common use for it in making calls and communicating via SMS (texting). However, smartphone has a lot more features that pending on a user’s preference will require the installation of apps that would serve his needs. Early last night, I got a new Alcatel Scribe Easy smartphone (see above image) when our son renewed and upgraded the postpaid plan of the account I was using since April 2012. The unit has Android Jellybean (Version 4.1) for its operating system, one step back from the current version 4.4 (Kitkat) and uses a micro-SIM which was issued for a fee by our cellphone service provider. The telco’s sales representative told us that it may take a day or two before I could use the new unit and its SIM. In the meantime, I can continue using the old regular SIM in the unit where it is installed. To my surprise, the phone I am using went dead an hour after we left the telco sales office so I was caught empty-handed with a new smartphone with an empty phonebook and worst, with apps that are not the ones I need. I stayed late in the night to install the apps and widgets that I normally have on a smartphone that I use and herewith is the image of may homescreen after the tweaks I made. You could see that it’s a lot different from the original homescreen in the above image. I won’t describe anymore what are those icons because I know that most of you knows them. Aside from the apps and widgets, the transfer of the phone numbers from the unit I was using to may new smartphone was another worry. I am glad that Bluetooth technology can do that very fast and flawless at that. After all, doing a manual transfer of more than 200 names and numbers in my phonebook is no joke.